What happened to the NFL’s Super Bowl logo? 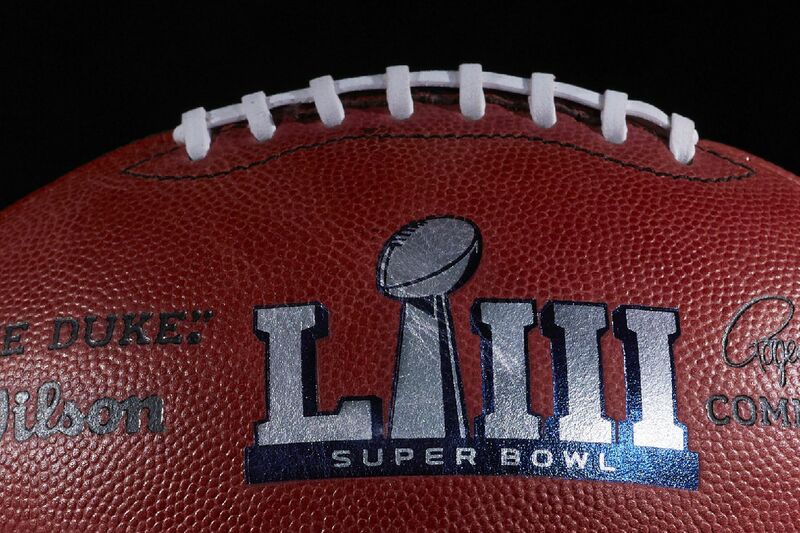 An official football for Super Bowl LIII shows the game's increasingly standardized logo. Remember when the Super Bowl’s logo used to be colorful, distinctive, and fun? Over the course of the Super Bowl’s 53 year history, the official logo evolved from an assembly of Roman numerals and random typefaces to colorful and sometimes aggressive nods to the cities where the games were played. The uniqueness of those Super Bowl logos over the years helped define the business of designing sports event logos and cemented the legacy of what has grown into one of the most-watched sporting events on the planet. But since Super Bowl XLV in 2010, the NFL has made a dramatic shift away from those brash and colorful logos to a more controlled, measured approach based around the iconic Vince Lombardi trophy. And every year since, fans and designers have complained about the approach, decrying the lost ambition of the Super Bowl logo. Graphic designer Todd Radom, who was responsible for the space-themed logo for Super Bowl XXXVIII in Houston in 2004, pointed out the disparity by comparing the logos of two Atlanta-based Super Bowls — the Georgia peach-inspired design for Super Bowl XXVIII in 1994 to this year’s logo, which other than an additional Roman numeral "I" looks identical to last year’s design. The logos for Super Bowl XXVII and Super Bowl LIII - both for games in Atlanta - show the evolution of the NFL's strategy towards it's logo design. “Passion and excitement and competition were somehow embedded in so many of those old logos, and certainly are not in the current system, which is very imposing and literally without much color and doesn’t evoke a whole lot of warmth,” Radom said. This certainly becomes apparent when watching replays of recent Super Bowls. From the patches players wear on their jerseys to the logos painted at each 30-yard line in the stadium, Radom said he thinks the more repetitive design has made the games feel more similar. Bill Frederick, whose New Jersey-based sports design company Fanbrandz developed the logo for last weekend’s NHL All-Star game, said he’s baffled by the NFL’s decision to abandon any attempt to highlight the uniqueness of the Super Bowl. The old logos were also influenced by off-the-field events. In Super Bowl XXXVI between the Patriots and Rams, played in the months following the 9/11 attacks, the NFL quickly pivoted away from its original design to one that included the stars and stripes, which become one of the most iconic logos in Super Bowl history. The NFL pivoted away from a New Orleans-inspired logo for Super Bowl XXXVI to a patriotic theme after the 9/11 attacks in 2001. “The NFL was quickly able to reflect a moment in time felt by all Americans. The current system does not allow for that,” Radom said. On their website at the time, Landor compared the approach to how the Olympic rings are easily identifiable by fans and bring a consistency to each competition. But as Radom explained in a 2016 column, the Summer and Winter Games have always turned to localized logos as the driving visual element for each event. The official logos for the most recent Winter and Summer Olympics, which incorporate the Olympic rings but still draw on the location of the events in their overall style.